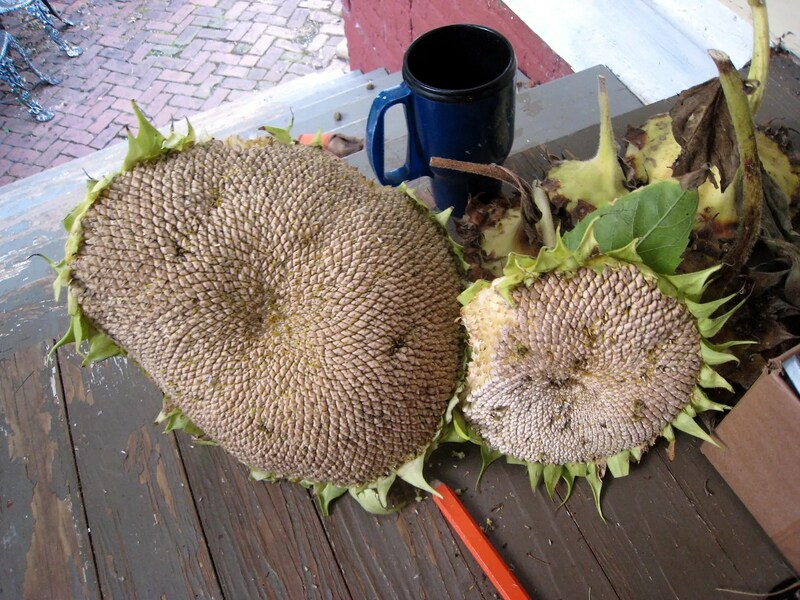 The last couple of Arikara sunflower heads were cut last week, including the big one. I wanted to leave them on the stalk a little while longer but then discovered the squirrels had found them. Funny thing though, they didn’t attack the seeds like the birds do, ie pluck them out. Instead, they munched into the whole head like a giant cookie, starting from the edge. Below you can see that the smaller of the two has a nice section chomped out of it. Oh well. I think I’ll save a few of the seeds from the monster head below and see what genes are passed to next years crop. Time to collect the seeds, soak in the mild brine solution and roast.